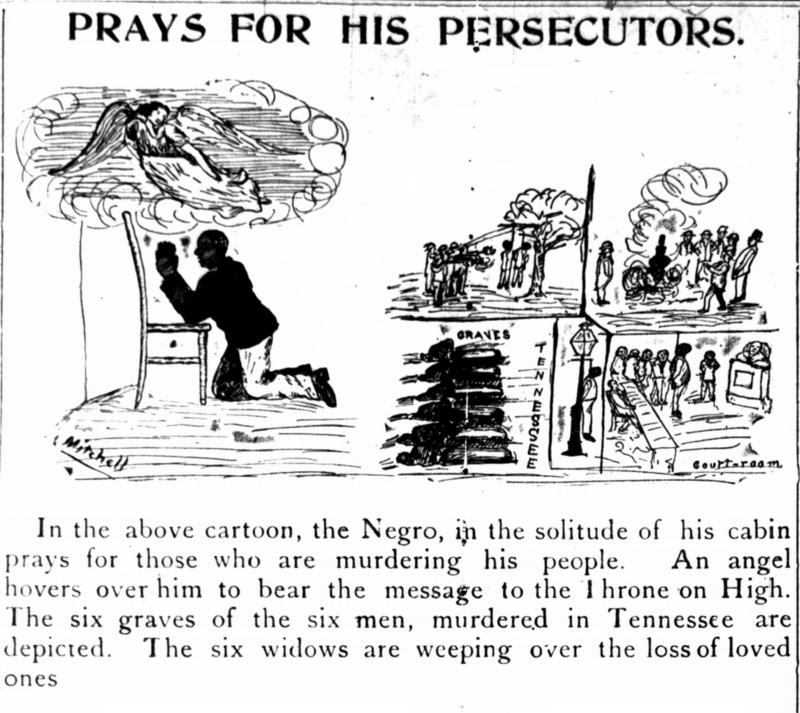 In early 1895, Richmond Planet editor John Mitchell, Jr., published a series of his own drawings, beginning with this illustration “Prays for His Persecutors.” The image depicts an African American man kneeling in prayer against a backdrop of lynched bodies, a reference to a recent murder of six men in Tennessee. The man appears forgiving, even saintly, despite the violent backdrop. The least confrontational cartoon from this series, it invokes non-threatening protest against violence. Like a popular “Day of Prayer and Fasting” three years earlier, the drawing appealed to the conscience of observers and urged the federal government to offer support and protection.